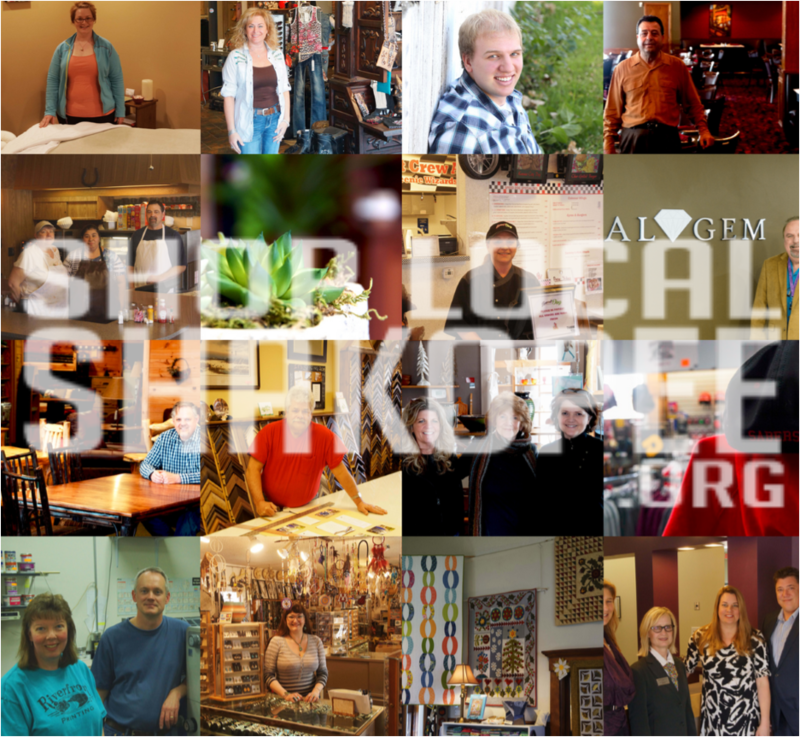 What is ShopLocalShakopee? 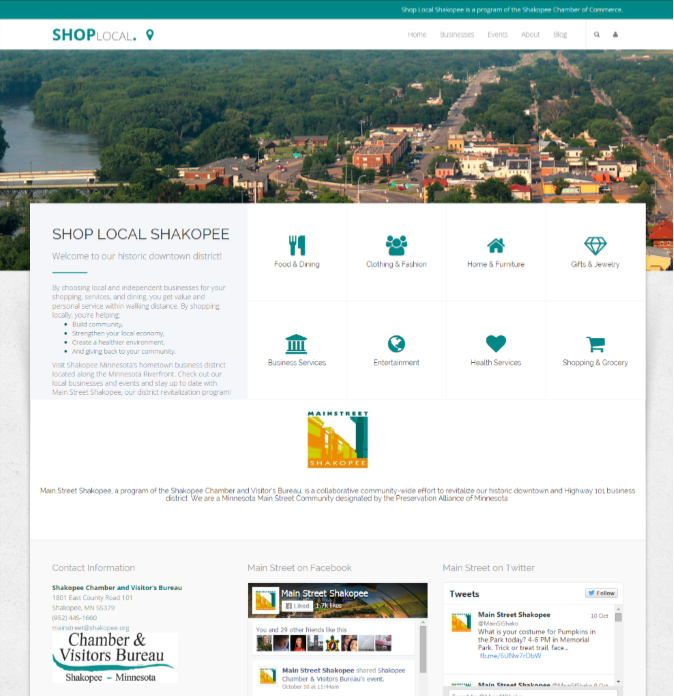 ShopLocalShakopee.org is a resource to help area residents discover local businesses and events in the Main Street Shakopee revitalization district (historic downtown and Highway 101 commercial corridor). 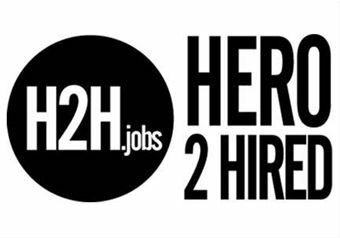 Over 120 businesses are located in the district. Main Street Shakopee will showcase your business, promote shopping locally, and grow our district events calendar to encourage residents and visitors to utilize the district as their hometown shopping and gathering place. Your Business Listing: Your listing consists of a photograph, description, business information, and link to your website from our online directory. The listing also gives you access to submit your events (special sales, happy hours, grand openings, live music, etc). You will receive a reminder four times per year and during special promotional campaigns to submit upcoming events. Your Investment: The listing investment is $150/year. Sign up by November 1 to receive 2 bonus months of promotion during the upcoming holiday season. 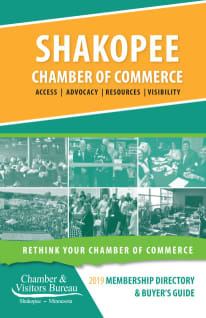 In addition to serving as a business and event directory, ShopLocalShakopee will grow into a hub of information for the Main Street Shakopee revitalization district offering participating businesses unique opportunities to be featured in retail promotions, “shop local” marketing, and image-building campaigns. The new site launches November 2015, just in time to promote shopping locally during Small Business Saturday! Get signed up today!